​FRIDAY: Please arrive promptly as we will be beginning our practice at 4 p.m. in preparation to the evening purnima celebration. SATURDAY: We will have a full day silent program. Please become familiar with the meditations before the retreat. If necessary, we can arrange an informal lunch/dinner with Swami Prem Dhan to discuss the retreat with participants on Wednesday the 4th of July for those interested as to avoid talking during the retreat. You are also more than welcome to call and talk with Swami about any questions, 510-910-8501. Please read the meditation and therapy overview for the retreat here. We will be at staying at a home in Martinez for the retreat. Though the accommodations will be comfortable, there is an outdoor space that we will be using. We ask that you bring anything you will need to keep you comfortable in a fluctuating climate. The days are usually quite warm, but the night gets very chilly. Vegetarian food and tea (chai and herbal) will be provided. Please email with any food allergies or dietary preferences. Bring anything that you would like to share. 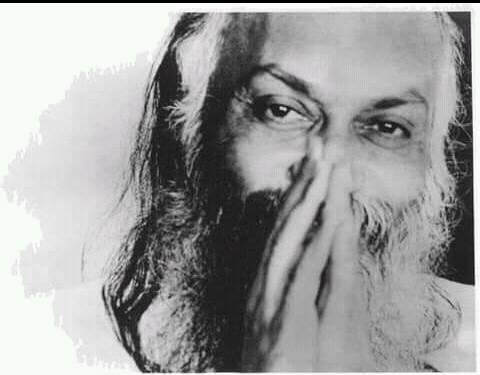 Anything that you would like to bring to charge with meditation such as a picture of Osho, mala, Osho books, or other spiritual objects. Please do not use electronics of any kind during the retreat. Talking on the phone, checking emails, or texts are discouraged as it breaks the meditative energy that we are hoping to accumulate during the retreat. If you have a work commitment that requires to check emails or receive calls, please let us know ahead of time. June, July, August, September are the ideal months for Meditative Outdoor Retreats in the Bay Area, and we request participants to keep your weekends relatively open during these months, in anticipation of Meditation Retreats. We will try to have 2 or 4 day camps once a month during this period. June - 2 day meditation retreat, July - Guru Purnima 4 day retreat, August - 2 day meditation retreat, September - Mahaparinirvana Day 4 day retreat, October - 2 day meditation retreat. It's especially helpful to recognize that you will be taking 4 days off work in these 5 months, and may need to give advance notice to your organization for your spiritual festivals.